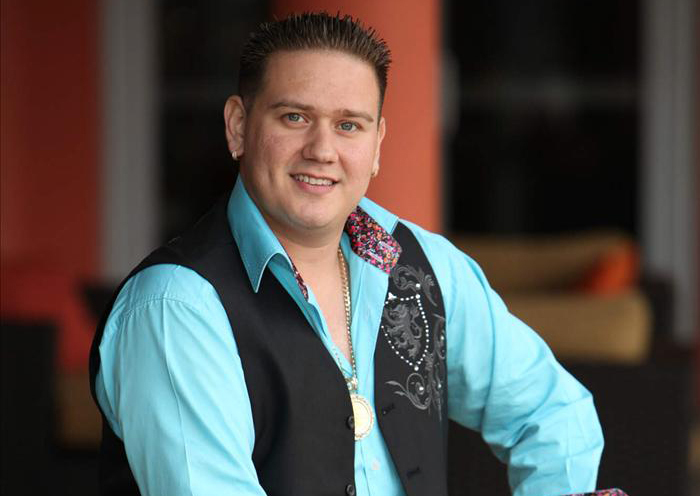 One of the reasons why duranguense music has gained popularity outside the Mexican-American community in the United States is because of Jorge Hernández, more famously known as El Guero, and the leader of the band Guero y Su Banda Centenario. The Grammy award winner has been instrumental in familiarizing people with the duranguense genre. El Guero’s parents were Mexican immigrants from the state of Jalisco, and even though he came from humble beginnings, his talent clearly shone through via guitar, piano, drums, and percussion apart from singing. He shifted base to San Antonio in 2004, and signed up with A.R.C. Discos for a full-fledged recording career. His debut album, Para Mis Compás, performed quite well, which spurned subsequent releases such as El Amigo de Tus Penas, Una Vez Mas, Cumbias y Polkas, and Antes y Despues under the same label. El Guero won a Grammy for best banda album a few years back, for Enamórate de Mi. Duranguense music has been described as a faster, more electric variant of brass-driven banda, though, he prefers to designate it as circus music as it feels refreshingly real. His music has synth samples of tuba and French horn or charchata in place of electric bass and guitar or bajo sexton, along with a conventional drummer amplified by marching bass drum and hand-held hi-hat cymbals, which are played by Rogelio, who is El Guero’s brother. The setup is intentional to emphasize in a better way. He has stated that it has more of a low-end tuning on it that helps to make dynamic, powerful music, and the tuba and French horn provide the perfect foundation for that purpose. He explains that the term “banda” is largely misinterpreted as a tribal group or something similar, but it indicates a group of people to collaborate and do stuff; one of those is to create music. He draws inspiration from Alicia Keys, Chicago’s duranguense scene and Dominican Republic bachataas. Other members in his band include drummer Javier Gomez, melody keyboardist Jesus Garza and keyboardist Daniel Zapata, who handles tuba bass lines and charchata. Catching a performance of El Guero shouldn’t be missed out on! He is riding high on the success of his first single Si Me Dices Que No. To book tickets simply click here. Don’t waste too much time, as they will sell like hot cakes!